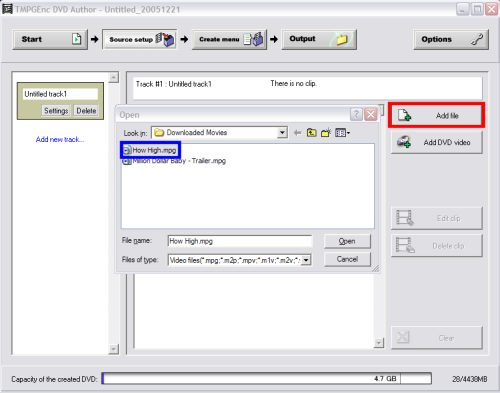 Below I will show you how to author/create a DVD using TMPGEnc DVD Author (TDA) that will play in any DVD player. It will have all of the necessary files (.bup, .ifo, and .vob files) needed for your DVD player to play it. NOTE 1: New versions of this guide for TDA 3.0 has been released, both for DVD Authoring and the new DivX Authoring functionality.